The surprise: The new photoreceptor is not activated by light but inhibited. It is a guanylyl cyclase which is an enzyme that synthesizes the important messenger cGMP. When exposed to light, cGMP production is severely reduced, leading to a reduced cGMP concentration – and that’s exactly what happens in the human eye as soon as the rhodopsins there absorb light. The newly discovered sensor is regulated by light and by the molecule ATP. Such “two component systems” are already well known in bacteria, but not in higher evolved cells. The researchers have named the new photoreceptor “Two Component Cyclase Opsin”, 2c-cyclop for short. They found it in two green algae, in the unicellular Chlamydomonas reinhardtii as well as in the multicellular Volvox carteri. “For many years there has been genetic data from which we could conclude that in green algae there must be many more rhodopsins than the two previously characterized,” explains Georg Nagel. Only in Chlamydomonas reinhardtii twelve protein sequences are assigned to the opsins, which are the precursors of rhodopsins. “So far, nobody could demonstrate the function of these light sensors,” says Nagels co-researcher Dr. Shiqiang Gao. 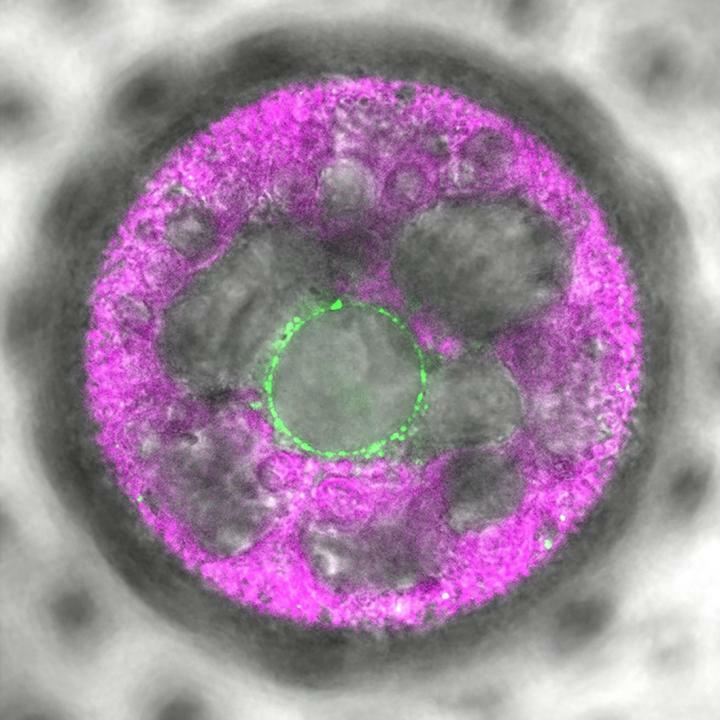 Only the research groups from Bielefeld and Würzburg have succeeded in doing so: They have installed the new rhodopsin in oocytes of the toad Xenopus laevis and in the spherical alga Volvox carteri. In both cases, its function could be shown and characterized. The authors believe that the 2c-Cyclop light sensor offers new opportunities for optogenetics. With this methodology, the activity of living tissues and organisms can be influenced by light signals. By means of optogenetics, many basic biological processes in cells have already been elucidated. For example, it provided new insights into the mechanisms of Parkinson’s disease and other neurological diseases. She also brought new insights into diseases like autism, schizophrenia, and depression or anxiety disorders.